I'm what you might call a bad personal finance blogger. Or maybe just a bad frugal blogger (never said I was a frugal blogger though!) Anyways, yup, I said it. I like nice (and brand new) cars, big houses, vacations, cable and premium TV, and everything else. I don't really talk about using coupons a whole lot either. I also use loans to my advantage by obtaining low interest rates (such as 0%) instead of paying for things with cash when I have the cash available. Some of the things that I just wrote seem to be things that some bloggers and readers might frown upon. Yes, I would like to retire early and not have to worry about money. However, I do like buying things and having nice things also. For me, I don't see it as me trying to keep up with the Joneses, I see it as I work hard for my money, so why not enjoy myself? I'm not the type of person who wants to retire early by being extremely cheap with everything that I do (no offense to those who do this). I am not perfect, and if I have the income to support the things that I want, then why not? I'm all about increasing my extra income, and a lot of it is used to pay down my $38,000 student loan debt. After that is gone, a lot of it will be funneled towards savings but also for fun things in my life. I hope you all do not hate me by the end of this post by the way. A couple of months ago I talked about my Budget Busters and My Plans. There are a lot of things on this list that I will be spending money on in the next 18 months. Big wedding? CHECK. Big house? CHECK. Paying off student loans? CHECK. Vacations? CHECK CHECK CHECK. Oh yeah and I plan on getting a new car also. I agree with Cait and Leslie. Even though I am definitely not a frugal blogger, I am money conscious and watch my spending. I manage my money well (at least I think so) and make sure that I am able to pay all of my bills. I also make sure that my spending and expenses equal less than 50% of our income. Yes, I have made mistakes. Probably way too many money mistakes, but I am human, and it happens. I do think frugal bloggers are awesome though. 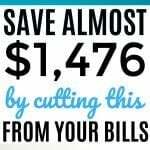 If you are able to save even more money, then why not? That's awesome! Being a personal finance blogger to me is not always about saving as much money as you can. It's about enjoying life and reaching true happiness. If I'm happy with what I spend my money on and have a realistic game plan for retirement, etc., then I'm happy. Right now my car is okay, not the greatest. But I haven't told most of you guys something – I plan on buying a new car this spring. Yes, I do realize we just bought the Jeep last summer. And yes I remember that a lot of you were not happy with that purchase. But that's why I blog! I rely on you guys to keep me in check. If it wasn't for my blog, I probably wouldn't think twice. With my blog I'm always double thinking my purchases and trying to think of what others would do. W now works at a car dealership. He can get me a good deal. And while it's not the most luxurious, I have been looking at the 2013 Chevy Cruze. He can get us pretty much the at-cost price (this is below MSRP, invoice, employee discount, etc.). 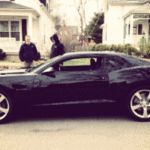 Up until last week, I'm not going to deny it, I was dead set on the 2013 Camaro 2SS. Yes, not the base model or even an SS. I was thinking about the super expensive one that is above all of that. The price was around $40,000 with the extras that I wanted (would be even more expensive if I wanted all of the extras). However, I kept thinking about the bad gas mileage it gets and how the Cruze gets around 2 times better gas mileage (38-42 for the Cruze versus approximately 20 or less for the Camaro). I really want a new house, and W and I decided that 2014 is the year. We bought the house that we currently live in when we were at the young and at the not-so-smart age of 20, and we are ready for something nicer. And bigger. We decided that we want a decent sized house. Preferably two stories, around 3,000 square feet, with a finished basement, large fenced in backyard, and so on. Right now our house is okay, and yes we could do with less space, but I do believe we would be happier with a nicer house. And if we can afford it, then why not? I know that for a lot of people, a $300,000 or $400,000 house might be average because of the places that you live (NYC, LA, Vancouver), but in the Midwest, it usually buys a pretty nice house. You can have a pool if you want, half an acre of land, and a brand new 3,500 square foot house. And this is pretty much what I want. I like vacations. We all know this though, no surprises here. Not everyone thinks vacations are bad, but I know that some may think it's not a good idea to do this when you have student loans. I've had great vacations and haven't regretted a single one. My cable bill is around $60. We have HBO and a lot of other channels. Would I give this up? NO! I'm fine with watching it on TV the second it comes out and spending extra money on this. I don't know if I'll ever get rid of cable. It's a relatively cheap form of entertainment and an easy way to relax. And I'm addicted to reality TV shows that I probably shouldn't name. Are there things that you want in life like me? What splurges do you have in life? I agree with you. LIVE and live well. Enjoy your time as you may never know when it may come to a grinding halt. My blog isn't about financial austerity like you have only the income as a child slave-labourer in some horrible 3rd world sweat-shop. It's about living the high life off a meagre pittance! I agree! Live well. Life isn't all about saving every last penny to the point where you hate life. I am not a frugal blogger either. Nor do I advocate minimalist lifestyles or anything like that. I like having a car, not as nice as yours but a lot better than a bicycle. I also like to eat meat, drink wine, travel around, and otherwise enjoy myself. 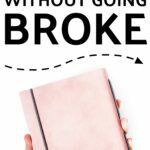 I live a frugal lifestyle at the moment, but this is because I'm working towards something greater – achieving financial independence by the time I'm 45. 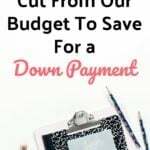 My main point is to increase your savings rate using whatever methods work for you. Saving and investing is a long game, so you need to be happy with your lifestyle in order to be able to win the marathon. I agree! You said all of this perfectly. There's nothing wrong with being frugal, it's all about being happy with your lifestyle. I think you are making a conscious decision based on your personal finance education. Obviously someone in your exact situation will build a much larger net worth by saving and investing while avoiding cash sucking ventures/items. However, you are making the educated choice not to do those things. That's what matters. It sounds like your income is high enough to cover everything, but I think a lot of people don't take large future expenses into account when they say they "have enough" money to buy a new car every three years and live in a McMansion. People should be saving between about $3,000 and $8,000 per child per year from the time they are born to cover college expenses. They should be saving about 15% of their income to cover retirement. I see too many people who are getting financial aid for college(and with Obama trying to forgive loans after a few years for those who go into teaching and other "public service" professions, many loans will become financial aid too).who are always buying new cars and taking lavish vacations. Likiewise, there are a lot getting nursing home expenses paid by medicaid who went through millions of dollars in their working lifetimes. I agree that if people are really meeting expenses and have cash left over, they can spend as they wish. But don't be asking for others to pay your college expenses if you've put enough into vacations and cars to pay for it yourself. Love the honesty of your post, what a "frugal" person thinks of your lifestyle is their opinion and nothing else really matters! I love the honesty in this post.. And agree. My Michelle and I are constantly talking about finding a bigger house, and in the market we live in.. It really isn't too hard to find. My recent post Saving Money Shopping – a $500 giveaway! Thanks Jeff! And I know, I've been scouring for a new BIG house in the St. Chuck area all this month. I definitely feel the exact same way, now its just getting me as trained and as frugal as you. My goal is to start paying off my student loans first and buying our first house under Chad’s name and then I would buy a smaller fixer upper property under my name next year to re-do and resell now that the market is becoming better. I am in love with your site now! Glad you enjoy my site! 🙂 Makes me happy. I guess I’m not your usual type of reader but I accidently found you while reading a post from Adventurous Kate and even though I would probably describe myself as a lifestyle blogger, albeit a new one, I like your style, the way you write and your honesty. I’m probably not your target reader either as I’m a European and we don’t talk much about money, at least not openly LOL, I still find your posts enormously of interest. Well done! I have a few European readers 🙂 I hope you continue reading along and enjoy my posts. I just found your site today, thanks for all the helpful info! It would be fascinating to hear how and why your perspective changed since this post. I have been reading your blog for just over a year now and last I heard, you had cancelled your cable TV, sold your house, and no longer own a car. Can I recommend a “how we changed our mindset” post? Ha, yes, my mindset has definitely changed since I wrote this post. I haven’t read this in forever – it was a funny one to read haha.